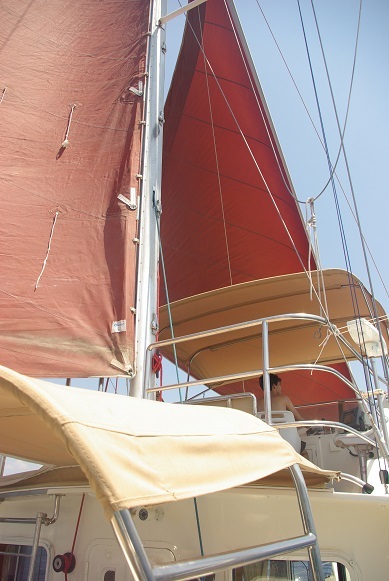 Being an SAT (sailassisted trawler) Dora Mac can fly a headsail and a jib. It´s both for stability at sea,better fuel economy in for example a long tradewind passage, and as a "take home system" in case of main engine failure. With the main and headsail up we cruised 4,2kts in 15kts of downwind passing the Fethiye Gulf.